Our best and most diversified private tour - 5 days / 4 nights starting every day. The capital of the North is Chiang Mai, also called The Rose of the East. Magnificent temples and defense constructions gives evidence of a great period that would influence the whole region. Traders from the time of the Silk Route made the foundation to our times good main roads there will take the visitor to the remotest part of the country. This mountainous and subtropical zone is the home for about 15 different ethnic wild tribes who have migrated from Kina, Tibet, Vietnam, Laos and Burma. In the villages life goes on almost with no influence og modern technology. The Mountain farmers are still to a great extent, slash-and-burn farmers. Every year the undergrowth is set at fire to manure the soil. Book with no misunderstandings. 15 years experience in Northern Thailand. This tour can be adjusted so that the content / length will fit just for you. Meet and greet in Chiang Mai Airport or Train Station. Transfer to The Imperial Mae Ping Hotel for Superior room check in. This beautiful hotel is located just off the famous Night Bazaar. Rests of the day spend at your own interests. Idea: A short walk from the hotel is Galare Food Centre. Specialties for every taste bud are sold from food stalls and 20:30 start a free event with local folklore dances performed by the most charming girls. Night at The Imperial Mae Ping Hotel. 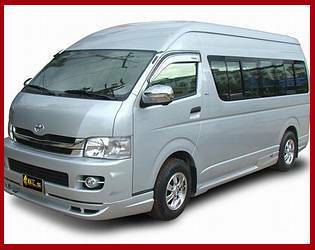 09:00 Private tour in air conditioned vehicle. We visit the holy mountain of Doi Suthep with its magnificent temple where we have a splendid view over The City of Chiang Mai. 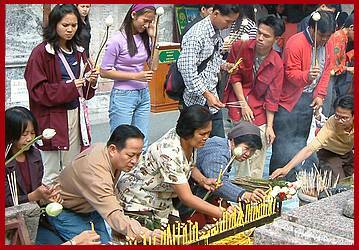 The Buddhist faith has many rituals and we shall see locals light up incense sticks, donate money and present lotus flowers to the icons of the temple. The monks recite holy scripts while they spray holy water on the worshippers. Siddhartha Gauthama, better known as The Buddha, was in fact a prince from northern India, who lived 560 to 480 years before Christ. The official year in Thailand is therefore 2554. According to the legend the temple on Doi Suthep was build here because of, a white elephant carrying relics of Buddha, suddenly ran away from a parade going through Chiang Mai. 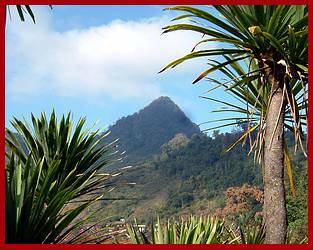 The white elephant headed for this mountain, which was covered in forest, and began climbing pursued by monks. After some time the elephant had reached high up the mountain but was now on the verge of collapse. It trumpeter three times with its trunk and then it died. The monks perceived this as an omen that this place was holy and therefore the temple was build here. When we return to Chiang Mai City we enjoy a delicious international buffet lunch on the way. The afternoon we spend at the craft village where we see the production of silk, from cocoon to weaving, and the sliver smith. We now deserved a one hour relaxing traditional Thai massage. Dressed in a special massage outfit we enjoy the treatment while our sore muscles are worked on. Thai massage is a several hundred years old art form and all the staffs here have graduated from the best schools in Chiang Mai. 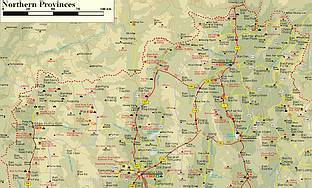 08:00 – We will today be heading for the Northern parts of Thailand. On the way out of town we will stop at the Orchid and Butterfly farm with most types of Thai orchids. Continuing through mountainous landscapes we arrive in Angkhang, called the Swiss Alps of Thailand. This place is known for the successful Royal Angkhang Research Station there have showed great results in introducing alien fruits, vegetables and other crops to be cultivated in Thailand. The Research Station is under the patronage of His Majesty King Bhumibol Adulyadej, The King of Thailand. About noon we will have our lunch break with Thai set menu and Angkhang special dishes. After lunch we visit the different hill tribe villages. The Muse & Lahu people in the area there now benefits form the research program. Before the hill tribe’s only source of income came from growing opium. Now thanks to the stations research the farmers now grow high income crops as a replacement for opium. After this exciting experience we zig-zak down the mountain and will soon be on the lowland plateau. We will be heading for the charming town of Thaton with the Big Buddha landmark. Night at Thaton River View Resort. DAY 4 - / B, L / Long Neck people, Kok River by longtailboat & Elephant Trekking. 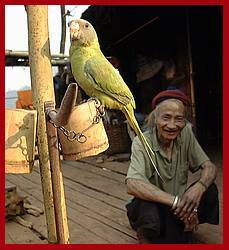 Check out after breakfast and visit a branch of the Karen tribe called Kayan. These are a predominant tribe, once occupying central Myanmar before the Burmese arrived from the north. 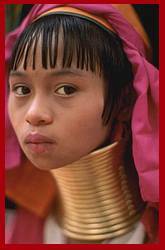 Most commonly known as the Long-Neck, this term signifies the practice of adorning their women with brass rings around the neck. The origin of the ring-wearing ritual remains unclear, resulting in many possible and sometimes embarrassing explanations. 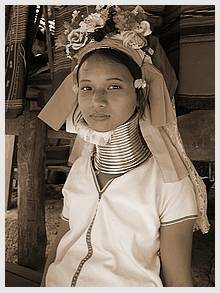 According to the Kayan legend, the mother of their tribe was a dragon with a long beautiful neck and their unique custom is an imitation of her. Some people claim that the ring-wearing arose out of a need to protect woman from tiger attacks. 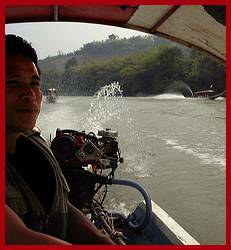 At the Nam Mae Kok River, we board a long tail-boat and are now looking at teak plantations on the hillsides and fishermen with nets that get dividends from river. At a Karen people villages - Baan Ruammit – we will lean that this tribe for century has had elephant training as their livelihoods – in former days to make them work in the forest. In an elephant chair on its back we do a safari into the surrounding countryside, together with Mahut (elephant driver). Previously, the village was a logging station for timber, before it was put at drift towards Chiang Rai. These times has ended as the Thai government in the 1980s banned all logging in state forests. Baan Raummit acts as a central hub, which connects different minority hill tribes such as Akha, Karen, Lahu and Lisu. Most hill tribes have immigrated from Burma and China more than hundred years ago. Only around 1960 they began to be integrated in the Thai society. Today there is compulsory education for all - regardless of residence. Each tribe still has its own language that is very different from Thai. We continue to Chiang Rai and will stay in Deluxe room at the central Wangcome Hotel, only a few minutes walk from Night Bazaar. We head for the most Northern tip of Thailand Mae Sai. This is the border town into Burma and a lot of traders are offering different goods for sale. Gem stones, cheap Chinese electronics and tobacco are among the most common items. We follow the borderline and arrive to Sop Ruak from where you can view Laos and Burma from across the mighty Mekong River from Thailand. Her we take lunch and visit the opium museum. The name “The Golden Triangle” originates from the opium trade. An area of about 100 kilometers inside the triangle countries of Thailand, Laos & Burma was where poppies were/is grown, produced ad traded. The payment for opium was in gold bars and this fact led to the name; The Golden Triangle. About 13:30, the activities has come to an end and you can now choose whether to be transferred to Chiang Rai Airport to connect to Bangkok or if you will return to Chiang Mai in the vehicle. It’s about a 4 hours to drive to Chiang Mai. Extension of your stay in Chiang Rai or Chiang Mai can be organized by Wild Kingdom Tours. From Chiang Mai to The Golden Triangle. The tour can be done in reverse order - Start Chiang Rai / End Chiang Mai. Based on 2 people sharing a double room. Children 4-12 years 50% discount – minimum 2 adults. Breakfast, lunch included from day 2 to day 5. 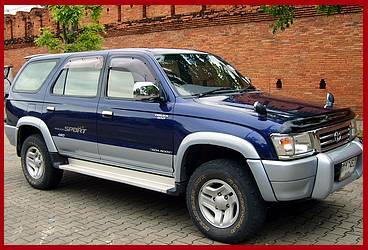 Transportation by car or minibus. 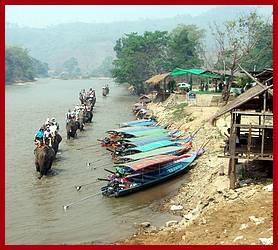 1 hour massage Chiang Mai, All boat trips, all entrance fees, 1 hour elephant riding. 3 adults sharing - We deducted 10% per person / Single room Supplement THB 3.900. DLX at The Imperial Mae Ping Hotel & Grand DLX at Wang Come Hotel +THB 1.500 per person. Minor surcharges: 24DEC + 31DEC + Chinese New Year + Songkran period. Kantoke = local specialties of small dishes served during folklore performance. WKT are an incoming Tour Agent. We do F.I.T. / G.I.T arrangements for overseas Travel Operators. Wild Kingdom Tours Co., Ltd.